I’ve been super busy lately, so I’m not sure exactly what week I’m on with the boys on their Your Baby Can Read. I think I’m on week 5 now. Before I continue with the update on how my boys are doing, I just wanted to point something out ——-> Popping this video on once in a while as background noise while your kids play with toys is not going to get you results. Also, you can NOT expect your child to miraculously start reading after doing the video for one week, a month, or a few months down the road. Every kid is different and learns at different rates in different ways. My boys are prime examples. With Gio, I have moved him up the different levels with his Your Child Can Read videos every two weeks. He’s older and could read a few words already. He is learning phonics in school so it’s a little bit easier for him to pick up the words and learn them. He is also a very quick learner. Keeping him on a lower video for too long would only bore him and he needs the challenge. He is on Level 3 now and will start Level 4 next week. I do show him the previous levels once a week just to help refresh his memory and to help keep it from being too boring for him. He can read quite a few words and can now read most of his own stories for story time. Now, these stories aren’t super complicated, but the fact that he can read them on his own with very little help from me, is great news for us. Seppe, is the complete opposite. I am going at a slower pace for him. He is still on Level 2. I show him Level 1 once a week. I combine the Level 1 and Level 2 books and flash cards and try to go over them once a day. Level 2 is a little bit longer than Level 1 so he is having difficulty sitting still for the entire time. Luckily this level has two songs that get him to stand up and dance that he really enjoys. He now knows almost all the words from level 1 and about 3 words from level 2. I can honestly say that he’s learned the new words more quickly. His progress isn’t as quick as Gio’s but for Seppe, it’s very big progress :-) I have to constantly remind myself that he is different from Gio and that I have to work hard to help him learn HIS way. I’m not perfect. There are days when I don’t have them watch their videos – especially when we travel(something I have to work on). I make it an effort to make it a part of our daily routine. The key is making sure that I am involved. I can’t just put it on and walk away – especially for Seppe. I also make sure Ben is involved and helps when he is home. It really helps that we are working together to help give our boys the best. It’s a shame that the King of Pop, Michael Jackson is gone. But Thanks to my 4 yr. old son and the millions of fans out there, he will never be forgotten. At 3 yrs. old my son discovered Michael Jackson while playing with YouTube on my phone. 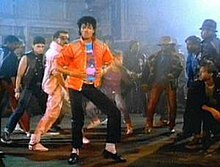 He was fascinated with werewolves and came across the Thriller music video. Needless to say, he was hooked. The scary werewolf, the zombies, and the music captivated him. He would watch it over and over again. He even started to mimic the dance moves. 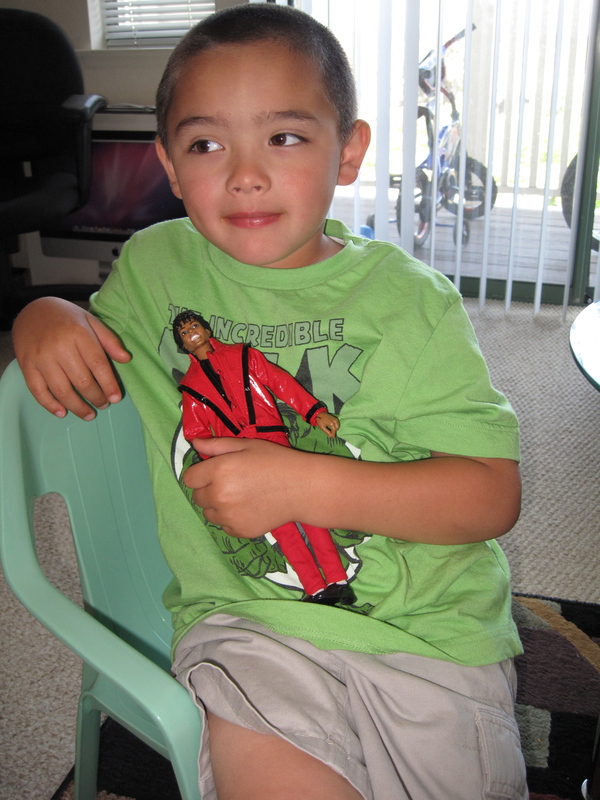 Because of his fascination, I have been reintroduced to MJ. I was a fan, but didn’t know much more than beyond his most popular songs. Blame it on a super strict dad who didn’t approve of MJ’s music. I sat down with him and watched “This Is It”. I was truly impressed by how amazing Michael was. We watched the new Thriller music video over and over again. We also got him the “Michael Jackson Experience” game for the Wii. He can play that game all day. Again, I was blown away by MJ’s talent. There is no way, I could ever come close to dancing like he did. 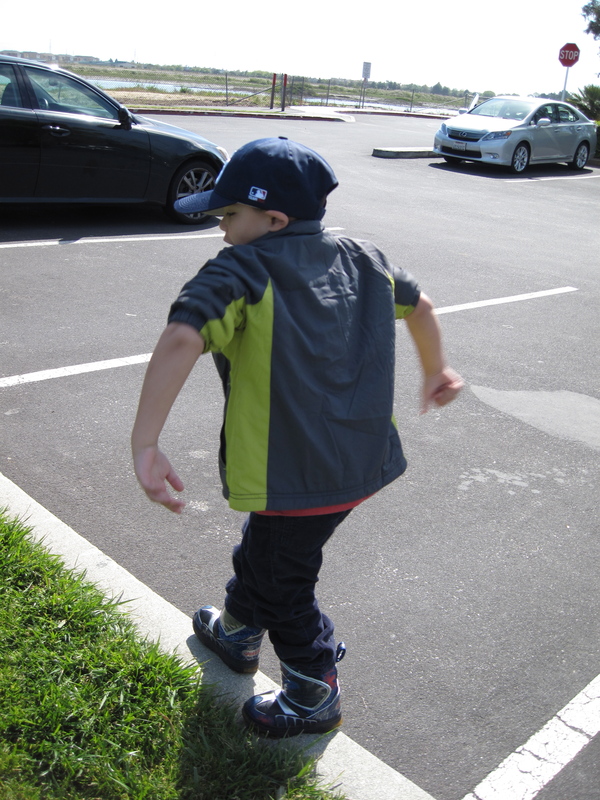 My son will do the dance moves anywhere he is – without any music. He doesn’t have the moves down yet, but he’s working on it. 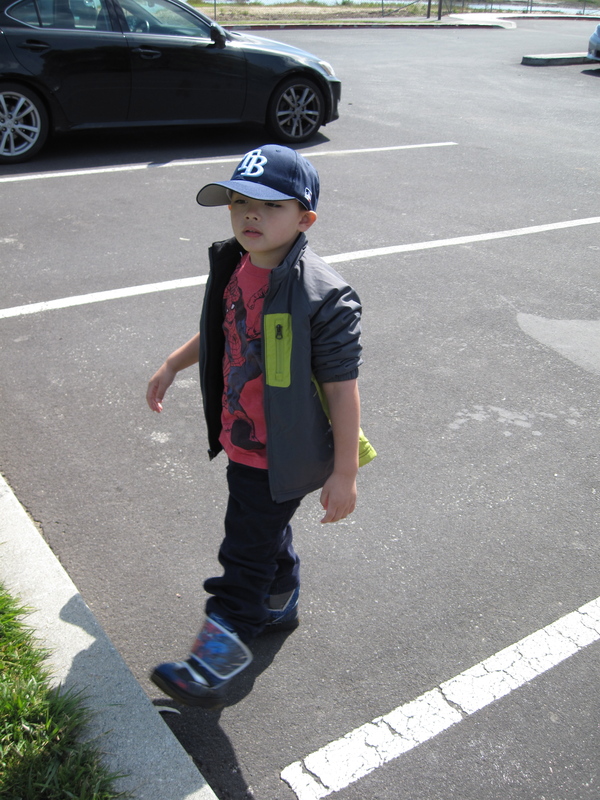 Dancing at his brother's T-ball game. He doesn’t understand that MJ has passed away. It’s sad that he will never get to see him live, but I know that he will be influenced by MJ’s music for the rest of his life.